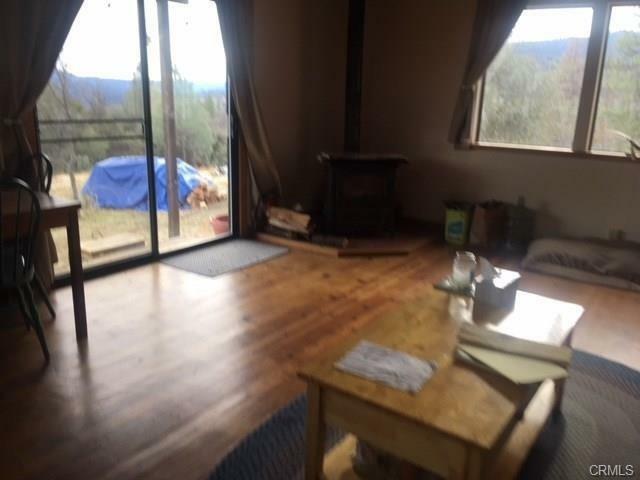 A serene 19.2 acres with a cabin in the mountains. Mountain views with a nearby seasonal creek. You will be on the scenic byway and pass Redinger Lake lookout. Property is approximately 4000 feet in elevation. 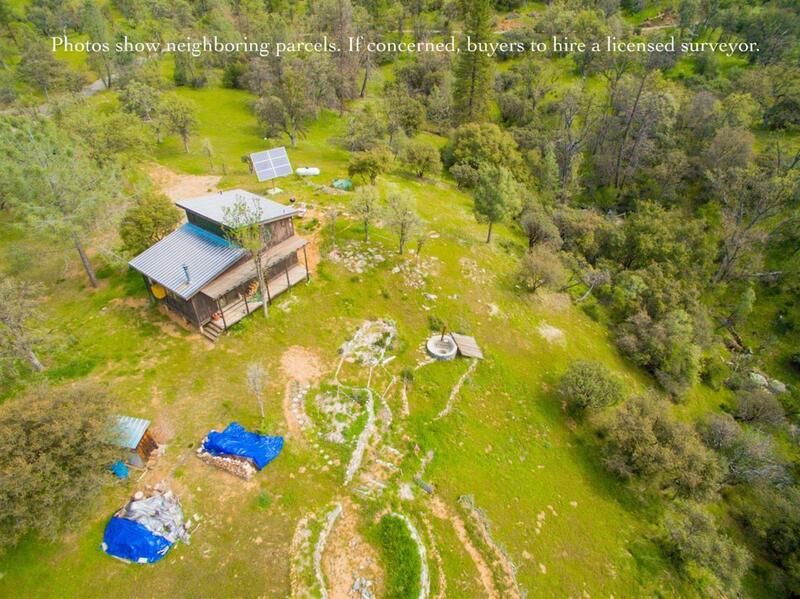 Per seller, approximately 1/3 land flat, 1/3 steep and 1/3 fenced for livestock. Per Realist records, cabin was built in 1987, 2 bedroom, 1 bath, approx. 1056 sqft. Buyer to investigate size, details and permits on property with County if concerned. 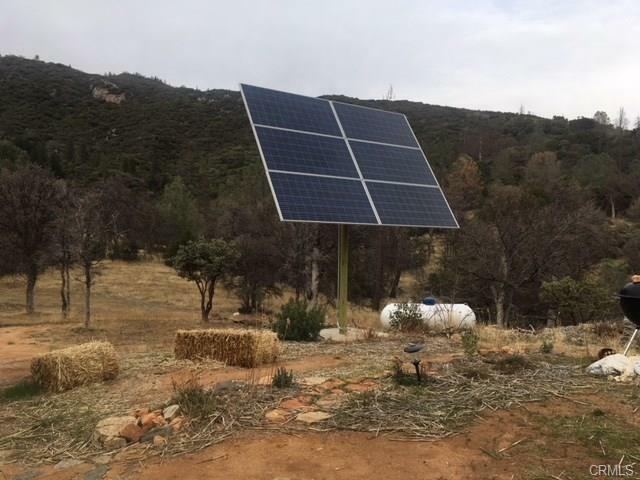 This property is off the grid with paid in full solar panels in 2015.This land property is offered as 19.2 acres, that comes with a cabin,a tankless water heater, phone line available for internet, small generator, propane tank, 500 gallon water tank for rain water per seller, wood burning stove, swamp cooler and a septic tank. Cabin as is. Property has a shed and an outdoor concrete hot tub (as-is). Property includes fenced flat acreage across the road from cabin. Make your appointment to see this unique opportunity.